The days of Blockbuster DVD-by-mail rental service may be far behind us, but GameFly is still trucking on with its game rental service. 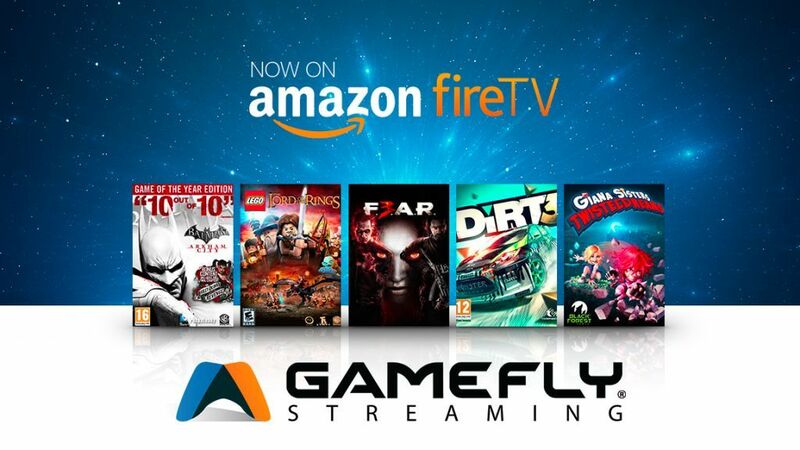 To keep up with the times, GameFly today launched a video game streaming service, exclusively on the Amazon Fire TV. The service will be available as a monthly subscription with different game packs. At launch, GameFly will offer six packs with varying amount of titles, designed for gamers of all genres and ages. All games are optimized to work with the Amazon Fire TV game controller (sold separately from the set-top box). The new video on demand hosting is made possible through GameFly’s acquisition of Israel-based Playcast Media, a cloud gaming service. GameFly CEO Dave Hodess tells us that he’s excited for the company to move into the cloud gaming space, taking cues from the successes Netflix has had with movies and TV shows.